Kopperhead’s Master Studio complex was designed by John Storyk of Walters-Storyk Design Group, New York, New York. Kopperhead is linked on the WSDG Client List. 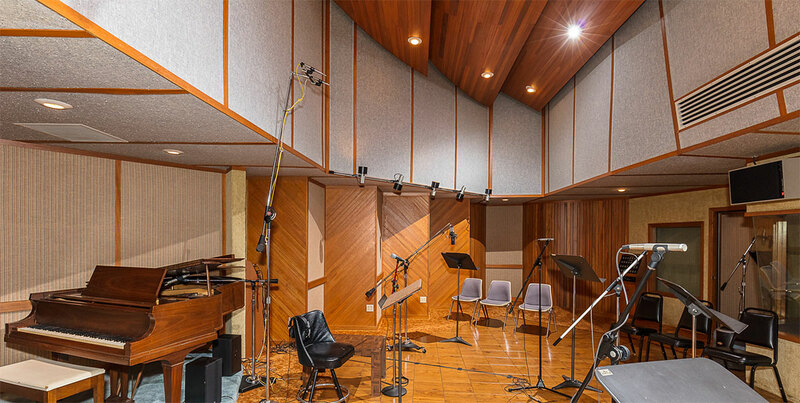 Having wonderful acoustical clarity and definition, Kopperhead’s Master Studio is both spacious and beautiful. All wood is mahogany and an appropriate “kopper” color. Earth tones and soft textures were chosen specifically to enhance the comfort and well-being of the performers. Overhead, three wooden “clouds” are suspended from the ceiling offering superb acoustical diffraction. Appearing triangular, four trapped bays of differing dimensions offer better isolation for guitar and bass amps if desired. Likewise, the drum booth can be used with or without front baffles for variable levels of isolation. Of course, when needed, drums can be recorded outside the booth to utilize the studio’s awesome acoustics. Using the fourth trapped bay and curved wooden resonators, our Baldwin Grand Piano has it’s own place with special acoustical treatment. It too may be placed in different locations to achieve varying amounts of “room” sound required of different musical styles. Three custom cabinets offer microphone and headphone connections while enabling convenient storage of cables and headphones. Often overlooked in studio design and construction, Kopperhead’s Master Studio and Control Room each have their own heating and air conditioning systems. This not only assures performer comfort, but also keeps each room’s sound isolated to that room. Furthermore, all studio lights are on dimmers to create that special “mood” required for some performances. 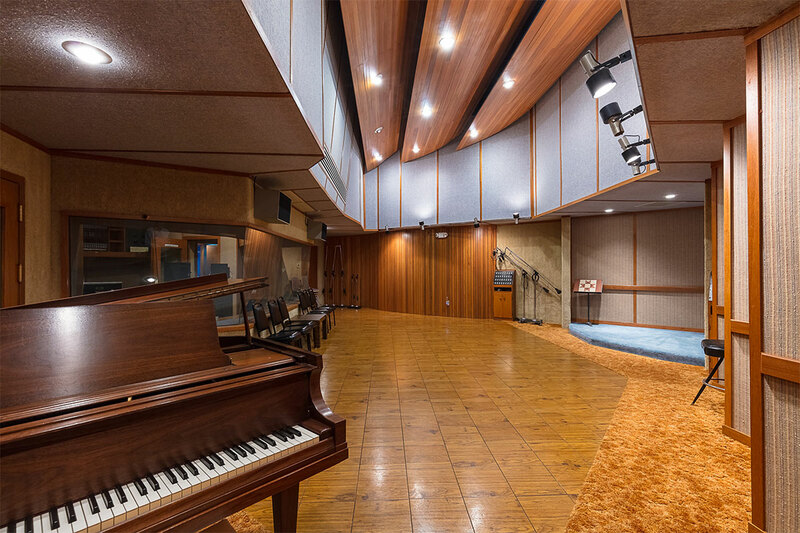 Simply put, Kopperhead’s Master Studio is a very special acoustic recording space that is unique to this region and the Midwest. To complement the expanded power and quality of the Pro Tools HD system, we have chosen Digidesign’s high-definition 192 Input/Output interface. This unit breaks new ground in sound quality and performance, and supports sampling rates up to 192 kHz. It provides a multitude of connection options and offers 16 simultaneous channels of high-definition I/O to choose from, including 16 channels of pristine analog I/O, 16 channels of ADAT digital, 8 channels of AES/EBU digital, 8 channels of TDIF digital, and 2 channels of AES/EBU, ADAT or S/PDIF digital. All of these can utilize the real-time sample rate converter chips for streaming digital signals with any sample rate into a Pro Tools session. With the 192 I/O, interface, the full power of the Pro Tools HD system is available. UA 4-710d; 4 ch of blendable tube & FET preamps NEW! Kopperhead’s Master Control Room is a superior mixing and mastering environment for critical decision making. 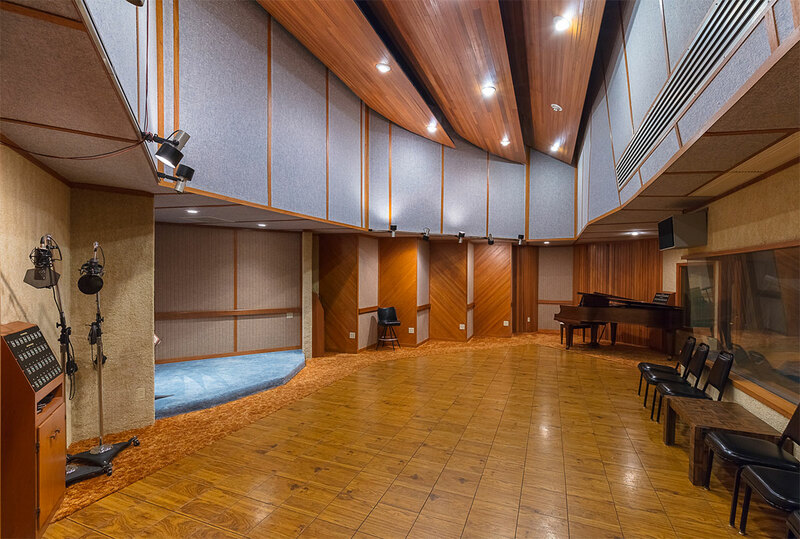 Having superb acoustical clarity and definition, Kopperhead’s Master Studio is both spacious and beautiful. Our Baldwin grand piano is in countless projects of all musical styles. Kopperhead’s Master Studio complex was designed by John Storyk of Walters-Storyk Design Group. Overhead room mics capture the fullness of your choir or ensemble. 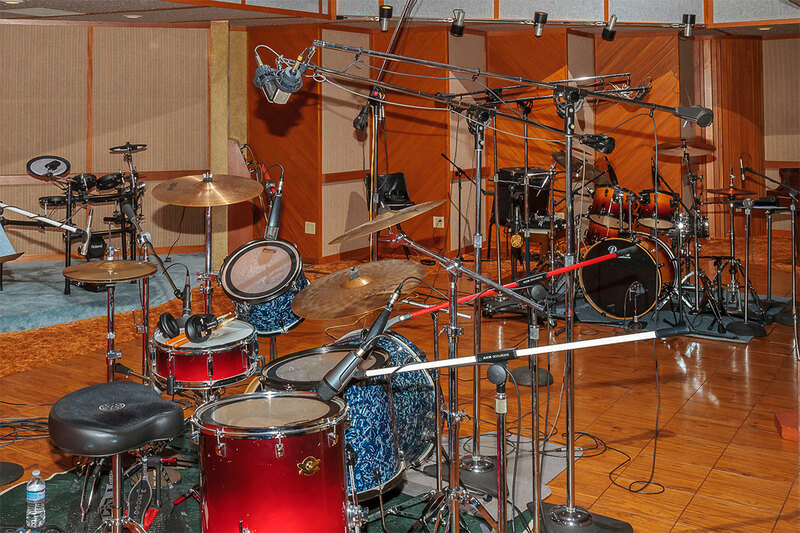 Our studio has the space and acoustics for multi-drum kit setups. Whether a musical album, a business sales program, or an original jingle for broadcast, Kopperhead offers a complete and interchangable line of professional services in audio and music recording, production, mixing, and mastering. We look forward to working with you whatever your needs are! Kopperhead ® is a registered Trademark of Kopperhead Compositions Inc.